Caption slip reads: "Photographer: Glickman. Date: 1958-05-23. Assignment: Bird. Special instructions: Monday. 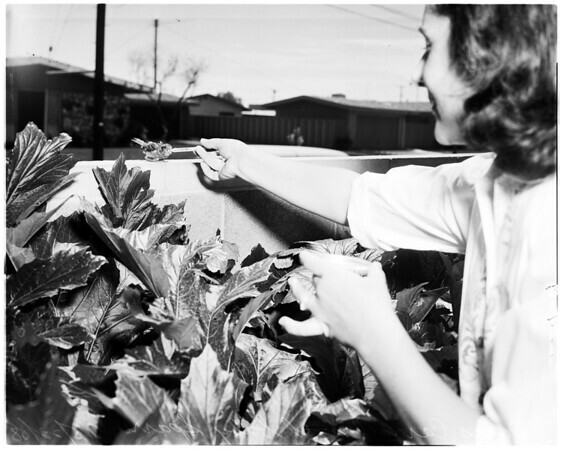 G302/115/116: Mrs. Doris Carroll feeds 'Baby' sparrow with eye dropper".